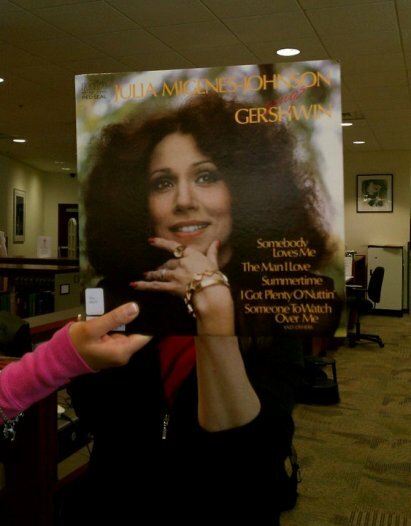 Julia Migenes-Johnson is quite pleased that the UNCG Music Library is allowing the ML/SRA to re-post their sleevefaces! In this photo: Julia Migenes-Johnson and Sarah Dorsey. Photo by UNCG Music Library at the University of North Carolina in Greensboro. This entry was posted in Pop and tagged Julia_Migenes-Johnson, UNCG. Bookmark the permalink.